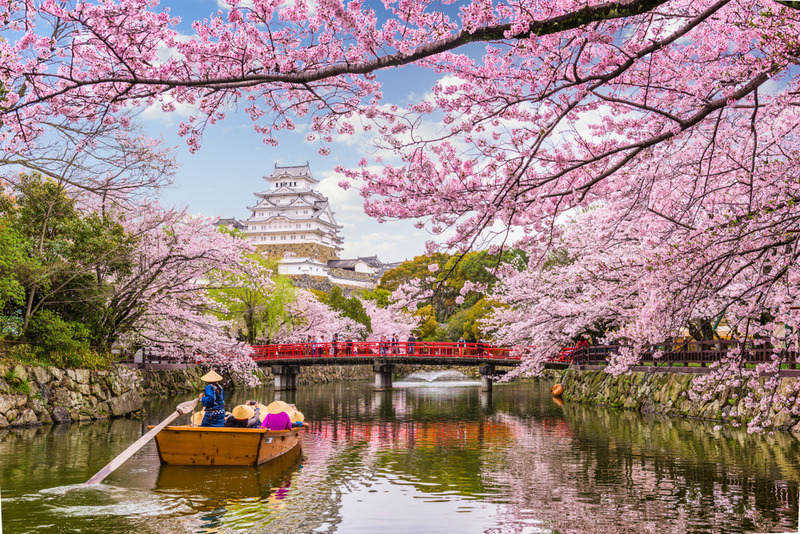 This 9-day itinerary will take you through some of the most wonderful places in Japan during the blossoming time of the national flower of Japan, the cherry blossom. Experience the hectic and crowded capital city as well as the peaceful landscape around Mt. Fuji and the scenic Hakone. 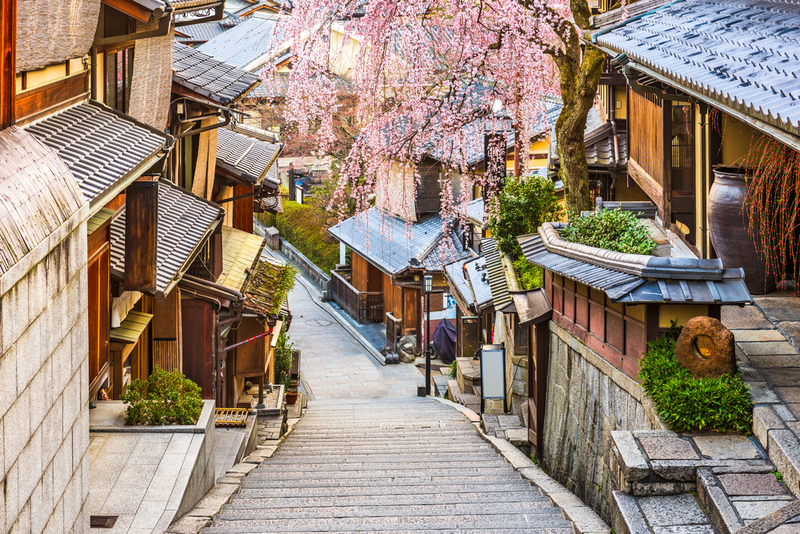 Visit the cultural capital of Kyoto and enjoy the Japanese hospitality with a pink cherry blossom tree around every corner. Upon arrival at Narita or Haneda Airport, your shared shuttle driver will be waiting for you in the arrivals area holding a nameboard. You will then be taken to your hotel by shared shuttle service and the rest of the day is at leisure. This morning, meet your fellow tour companions in the lobby and depart on a Tokyo Full Day Tourwith an English speaking guide by private coach. Firstly, you will visit Chidorigafuchi to view approximately 260 beautiful Cherry Blossom trees, before taking a delightful Sumida River Boat Cruise to Tokyo’s most ancient Buddhist temple - Senso-ji Temple. Enjoy strolling the Nakamise Shopping Street before heading to Ueno Park, renowned for approximately 1,200 spectacular Cherry Blossom trees! You will return to your hotel before heading to indulge in a Welcome Dinner at a local Japanese Izakaya restaurant in Tokyo. Today is free day at leisure within the bustling city of Tokyo. Alternatively, you make like to add an additional day tour from one of our many available options. This morning, please leave your main suitcase at the reception to be delivered to your hotel in Osaka and ensure to bring an overnight bag for your stay in Hakone. Meet your guide in the hotel lobby and proceed to enjoy a Mt. 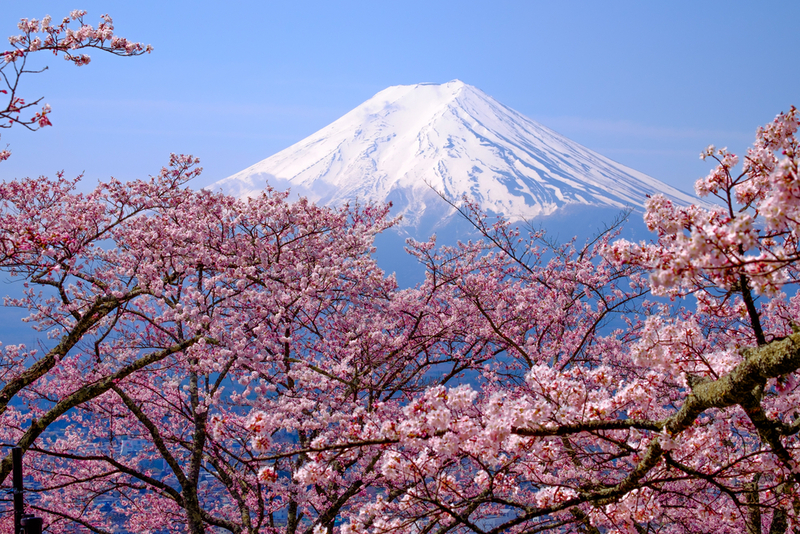 Fuji Full Day Tour by private coach. The first stop will be Mt. Fuji 5th Station before enjoying a cruise on Lake Ashi from Sekisho-ato to Kojiri pier. In the afternoon, visit Owakudani Valley - famous for its black eggs boiled in the hot sulfur springs - before taking a ride on the Hakone Ropeway. You will then head to your Ryokan located in the Hakone Yumoto Hot Spring Resort area. This evening, enjoy a traditional Japanese style dinner and then feel free to enjoy your Ryokans spa facilities. After you enjoy breakfast at your Ryokan, you will transfer to Odawara Station by private coach to board the Shinkansen (bullet train) bound for Shin-Osaka. Upon arrival at Shin-Osaka Station, you will be taken to your hotel to check in from 15:00. 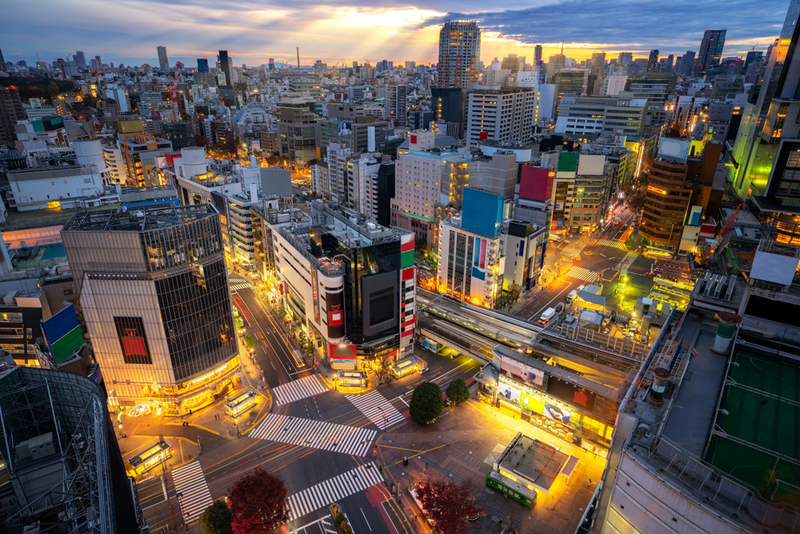 The afternoon can be spent relaxing or exploring what Osaka has to offer at your own leisure. This morning, you will head to Nara for a Half Day Tour visiting Todai-ji Temple, known for its Great Buddha Hall that is also a Historic Monument of Ancient Nara. This temple is in Nara Park, where you can see and interact with the friendly deer roaming freely, before visiting Kasuga-taisha Shrine. After exploring Nara you will transfer back to your accommodation in Osaka and the rest of the day can be spent at leisure. On day 7 you will leave Osaka and make your way to Kyoto a Full Day Sightseeing Tour by private coach. Visit Nijo Castle a World Heritage Listed Historical Monument of Ancient Kyoto before proceeding to Kiyomizu-dera Temple famous for its wooden stage that is 13 meters above the hillside below. After lunch enjoy the shopping street - Ninen-Sannenzaka - before visiting Kinkaku-ji Temple, which is covered in brilliant gold leaf. The last stop of the afternoon before returning to your hotel is Sanjusangen-do, a place for one to marvel at the beauty of Japanese Buddhist sculptures. Today is a free day at leisure within the ancient city of Kyoto. Alternatively, you make like to add an additional day tour from one of our many available options. This evening enjoy a farewell dinner with an enchanting Maiko Dance Performance in the Gion District, a famous spot to glimpse beautiful Geisha on the streets en route to their appointments. Afterwards head back to your hotel at leisure. Today is at leisure until you are picked up from your accommodation by a shared shuttle service to head to Kansai Airport for your departure flight. Hotels each night of the itinerary (excluding your departure day). All GetAboutAsia accommodation is handpicked by us.